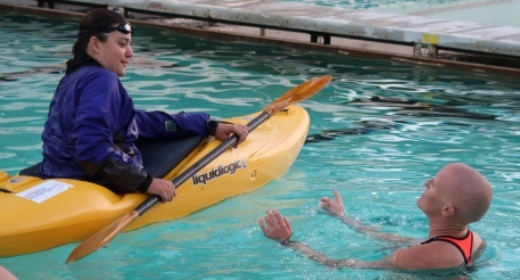 The Rec Pool is available for kayak rolling practice every Wednesday, April-September. 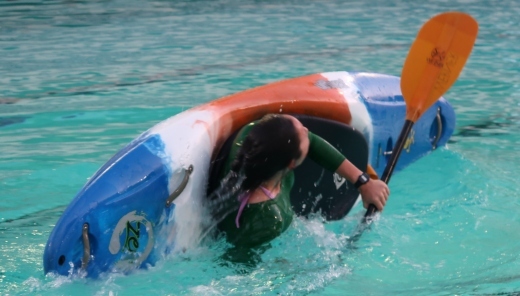 No gear or official instruction are provided, however, participants have the opportunity to learn from each other, practice, and enjoy involvement in Davis’ kayaking community. Learn the first step to becoming a whitewater kayaker. OA’s Rolling Clinic takes place over the course of two evenings at the Rec Pool. Here we will explain the basics, illustrate proper technique and give expert one-on-one instruction. Sea kayakers are welcome.